Using a home equity loan to pay credit card bills - Should you do it? A home equity loan can be a suitable option to repay your high interest multiple credit card bills. A home equity loan can be a suitable option to repay your high interest multiple credit card bills. However, you can take out the loan only if you have sufficient equity in your home. Read the article to know how you can use a home equity loan to pay back credit card debts. The knowledge will help you decide whether or not a home equity loan is right for you and your financial status. A home equity loan is a type of second mortgage loan, which you obtain by pledging your home equity. Home equity is worth the amount you have made on the property. When you take out a loan and make the monthly payments on time, you start building equity on the property. The equity in your home serves as the guarantee against the loan amount. So, you take out the loan and have to repay it back with the help of monthly payments, within a definite time period; otherwise, the lender might foreclose the property. When you decide to take out a home equity loan, at first, calculate how much amount you need in order to repay all your credit card debts. Analyze your financial bills and calculate how much amount you need to pay in order to repay your credit card bills till date. It will help you talk to your lender and obtain the appropriate loan amount. After you get the required loan amount, you can pay off all your credit card bills and replace your credit card debt with the second mortgage loan. Then, you need to repay the home equity loan by making a single monthly payment for a certain time period. Thus, you can use a home equity loan to consolidate your credit card bills and replace your multiple payments with a single payment every month. There are certain advantages of consolidating credit card debts with a home equity loan. The advantages are discussed below. Usually interest rates on home equity loans are lower than that of credit cards. You can get suitable interest rate on a home equity loan if you have a good credit score. The interest paid on a home equity loan is usually tax deductible to a certain extent. However, you need to opt for itemized deduction in order to enjoy the benefits. A home equity loan enables you to get access to quick cash. 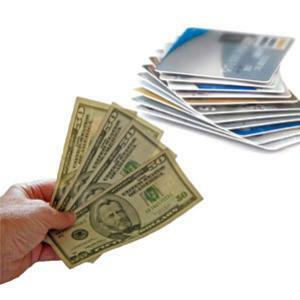 You can use the amount to repay your other debts, such as, credit card debts, quickly. The home equity loan helps you repay your high interest credit card debts at once. So, you don’t have to make high interest payments every month and can save the amount every month. In spite of certain benefits, you can think twice before taking out a home equity loan. This is because you might lose your home if you’re not able to pay back the loan within the stipulated time period. This means that the lender may foreclose your home if you fail to make the required monthly payments on time. Therefore, before you obtain a home equity loan, analyze your financial condition and be sure that you’d be able to make the required debt payments on time and will be able to repay the second mortgage within the definite time period and be absolutely debt free.